The boat insurance coverage you need will primarily be based on the kind of boat you are insuring. There are several factors that will decide about the coverage options you need to choose. The size of your boat, the speed, the location, and the type of typical operation will all be factors in the type of insurance you will need. The boats can be classified in to three types based on their size: a boat under 16 feet in length is called a personal watercraft by the insurance companies, boats between 16 and 25 feet are considered a boat by insurance standards, and anything longer than these options is considered a yacht. Many insurance companies do not offer insurance for watercrafts due too higher risks involved. These kinds of water vehicles have a higher incidence of accidents and injuries. If you own a jet ski or other watercraft, make sure you are taking extra precautions to be safe. A few may offer policies if you take a policy for a boat or a yacht at the same time. However, there are various companies who specialize in watercraft insurance. Your policy should have coverage inclusions for the watercraft, theft, injury or damage to third party, injury to you and your passengers. If you are using your watercraft for sports, such as water skiing, then you will need to get coverage this. You can also get coverage for any trailer used as well. A standard insurance policy for boats would cover “all risk”. All-risk would include any damage caused to the boat by theft, vandalism, fire, lightning, and windstorms. Normally, this would cover the boat, outboard motors, the trailer and any personal property on the boat including personal electronic devices. (Such as phones, laptops, etc.) Some insurance companies require an additional policy for personal property. It should also cover the cost of medical expense incurred by you, your family and any other passengers on the boat , in case of an injury. Some policies provide coverage for injuries caused by boaters without proper insurance coverage. Think of this in the same way you would car insurance. It serves the same purpose as a road vehicle’s underinsured or uninsured drivers. A yacht policy is similar to a boat policy, with some slight differences in terminology. Under a yacht policy, the coverage for damage is called "hull." You can get an insurance policy for a yacht up to 50 million dollars. This may sound excessive, but considering the cost of a yacht and maintaining a yacht, not to mention the amount of damage a yacht can cause, this becomes not quite as excessive. Your yacht policy should cover for medical expenses incurred by you and your passengers and injury caused by uninsured boaters. If you have taken an approved boating safety course, you can enjoy a discount of up to 20% depending on the insurance company and the policy you’ve chosen. Always ask about this if you’ve completed a safety course. If your vessel is equipped with safety equipments like depth finders, ship-to-shore radios, or alarms, you may also be entitled to a discount. If you opt for a higher deductible, then too you will spend less on monthly premiums. Keep in mind though that a higher deductible could cause a headache down the road if you ever need to utilize the insurance. Considering all these factors, go for a policy that would cover all your needs and offers the best discounts. 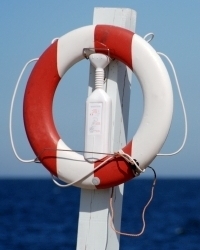 In any insurance policy for a boat, just the cost should not be the deciding factor.